After leading UT Southwestern University Hospitals as CEO since February 2012, John Warner, M.D., was named Executive Vice President for Health System Affairs, as of March 1, 2018. As the EVP, he oversees the UT Southwestern clinical enterprise, which encompasses the delivery of care to more than 100,000 inpatients and approximately 2.2 million outpatient visits annually at UT Southwestern facilities on and off campus and at UT Southwestern-affiliated hospitals and clinics. An interventional cardiologist, Dr. Warner has previously served as the Medical Director of the Doris and Harry W. Bass, Jr. Clinical Center for Heart, Lung and Vascular Disease and as Assistant Vice President for Hospital Planning. In that position, he was instrumental in leading the planning effort, along with UT Southwestern President Daniel K. Podolsky, for the design and planning of UT Southwestern’s 460-bed William P. Clements Jr. University Hospital, which opened in December 2014. Dr. Warner received his medical degree from Vanderbilt University, and he completed residency training in internal medicine at UT Southwestern, where he served as Chief Resident. 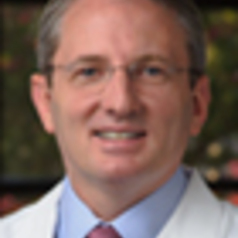 He did his fellowship training in cardiovascular disease and interventional cardiology at Duke University Medical Center, and he was on the faculty at Duke until he returned to UT Southwestern in 2003. Dr. Warner subsequently received a Master of Business Administration degree from the Physician Executive MBA program at the University of Tennessee, and he is currently serving as President of the American Heart Association for 2017-18.